How “Opening Concepts” was born? When I met Michy in Abu Dhabi back in 2004, he was introduced to me as a backgammon educator and author of several books on the subject. At the time I found it amusing that there was another strong Japanese player called Mochy. I learnt they were good friends, and that in pre-Snowie days they would often meet up to study and work on the game. 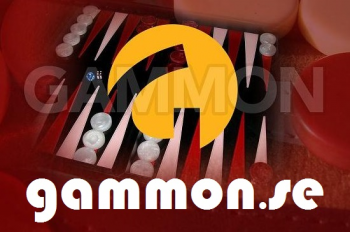 Together, they wrote the main book on backgammon available in Japan, and this has sold 10,000 copies. Michy, alone, was the author of six backgammon books all in his native language, of course. I first discussed the idea to produce a book on Backgammon that the rest of the World could benefit from in December 2009. 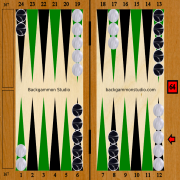 By May the following year “Backgammon Concepts”, as it was then called, had grown to well over a hundred pages but because the level was decidedly advanced, and hence only of interest to a limited audience, we abandoned the book to start work on the prequel which you can buy today. 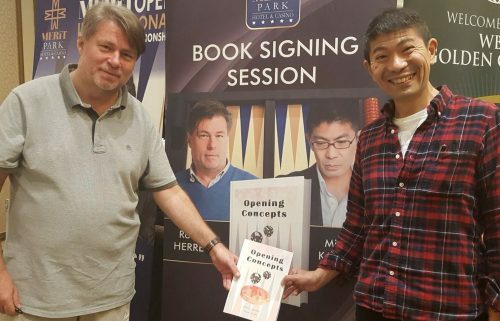 Opening Concepts” as it is now called, is essentially an amalgamation of two published Japanese books “Improve your Openings” and “Further Improvement in your Openings”, but with new content, thoroughly updated and revised and stands out as the first book on backgammon by a Japanese author available in plain English. Since I do not know the Japanese language the process of piecing together a book was a slow and arduous task, involving long hours working together, and many a midnight Skype session from UK to Japan. Much care was needed to ensure Michy’s ideas came through loud and strong, hence I adopted a style of English that could and had to be understood by my first reader, Michy himself. This was vital for him to be able to check and endorse my writing every step of the way. Another side benefit was to provide easy access to an International audience who did not have English as their first language. This explains, for example, the use of “Dice” singular, instead of “Die”.